E.B. 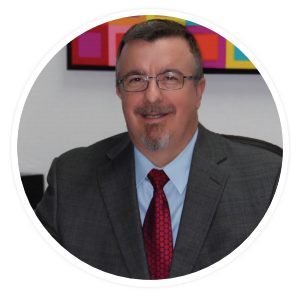 Huggins is a dedicated, highly accomplished corporate professional with nearly thirty years of experience in delivering visionary team leadership as well as effective business management. With a track record of achieving optimal productivity and profitability, Huggins served as a Managing Partner, Founder, and CFO of Innovative Health Care Systems, in which capacity he collaborated with customers, colleagues and staff to plan for the successful long-term growth of the company. Creating this “road map for success” is what motivates Huggins in his daily efforts to cultivate meaningful relationships and deliver on the promise of what the company’s highly innovative technology has done for health care customers. Success is familiar to Huggins, who brought together a group of private equity investors, institutional investors and patients to develop Medsonix, a company that offers an integrated medical device using low frequency sound pressure to increase blood flow and mobility, decrease inflammation and pain, and relieve symptoms attributed to a wide range of disorders. Known as the Medsonix Therapy System, the solution has been cited by numerous university studies for having more than 85% of its recipients experience symptomatic improvement. In 1996, Huggins also founded and funded a Las Vegas-based company specializing in granite and stone fabrication and installation, growing profits by 250% in less than 13 months. Other experience includes holding various sales roles in industries ranging from real estate to travel and serving as a consultant to help manage the operations and business functions for a diverse group of professional clients, from sole-proprietor business start-ups to Fortune 500 companies.